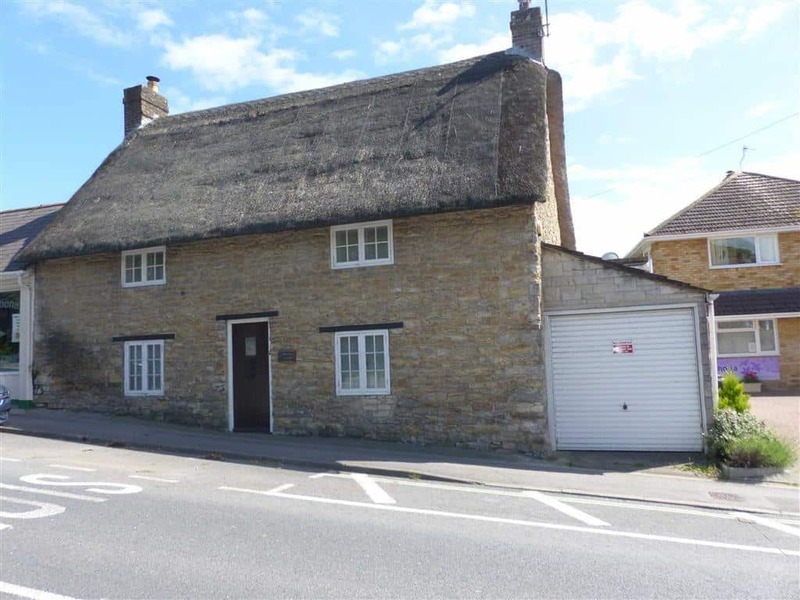 We are proud to present Honeypot Cottage, a charming Grade II listed thatch dating back to 1740, nestled in the heart of Preston and bordering Sutton Poyntz, just a short walk to Weymouth beach. This idyllic cottage has been lovingly restored and extended by the owner to offer a spacious and well planned ground floor accommodation, furnished with your comfort in mind. The cottage retains an abundance of its original charm, of particular note is the cosy living room, complete with gorgeous inglenook fireplace. The cottage enjoys an unusually large sized dining area complete with easy seating, bookcase well stocked with holiday reads and steps leading to a sunny breakfast conservatory. A serving hatch provides ease of use for serving up a scrumptious locally sourced breakfast during your stay. The kitchen is modern and bright, overlooking the garden and is well equipped for the keen chef among you! A range style gas oven and integrated fridge freezer, providing more than ample storage for your culinary delights and supplies. From the kitchen you will find a convenient utility area with washing machine, tumble dryer and ample storage for walking gear etc. There is also a recently refurbished shower room with WC for your convenience. On the first floor you will find a double master bedroom, a second bedroom with 4ft bed (can be used as double if you wish) and finally a small single room, ideal for children (restricted head height in places). The master and single bedrooms benefit from their own television with freeview. On the first floor you will also find the family bathroom, complete with full suite and handheld shower over bath. You can even enjoy glimpse views toward Portland from the strategically placed window. Outside the pretty garden is mainly laid to lawn, table and chairs are provided for alfresco dining. This charming cottage will appeal to both adult couples and small families who seek a fun packed holiday close by to the beach, yet without being right at the centre of a busy town. Honeypot Cottage is located close to a bus route and you can reach Weymouth centre in around 5 minutes and Dorchester in 15 minutes. Abbotsbury Swannery and subtropical garden is not to be missed during your stay and can be reached within 30 minutes, be sure to stop by the children's farm if you have young children while there! WIth miles and miles of stunning coastline enveloping the area, you will be spoilt for choice. Bridports golden cap is of particular note, why not stop by the Hive beach cafe at Burton Bradstock for a delicious slice of homemade cake, or in the evening sample their fine and locally caught seafood. The award winning beach at Weymouth is sure to be top of your list while you stay here in Dorset, you can enjoy a traditional British summertime Punch and Judy show, take a pedalo or simply sit on a stripy deckchair with fish and chips and take in the gorgeous views. The town is alive in the summer months with so much on offer, local produce, delightful eateries, boutique shopping and more. For the children there is the Weymouth Sea Life Centre, Pirate Crazy Golf, Sandworld. Whatever the weather you are certain to be spoilt for choice in this seaside prime location. Honeypot Cottage is certain to offer comfortable and welcoming accommodation for your family. Please note - In keeping with the era of this cottage there are split levels and therefore steps up into the kitchen and conservatory and steps down into the utility room. No BBQs permitted due to the nature of the building. The normal changeover for this property is a Saturday, though this is flexible out of season and over Christmas. Dates in green are available, dates in orange are provisional bookings and the dates in red are booked. To book: Select your check in/out dates in the box below.